For those fighting the nasty weather the East Coast has been experiencing, take heart. It could be worse. You could live in Russia. I am satisfied that I may be a weiner after seeing this. Yes, I have wet cold feet and hands nearly all the time. I am HUMBLED by these pictures. The theme song from MASH comes to mind. I'm trying to imagine the speed and frequency of the windstorms that created the scene in the last photo of the series. That's frightful. Actually last winter had more snow but less storms. It also is colder this year than last. 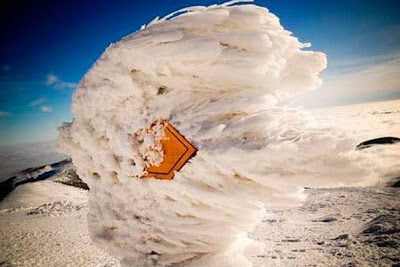 Next winter though I will be not far from you, well about 100-125 miles but out there that is not far. Gone further than that for yard sales last summer (not just one but a bunch of them). 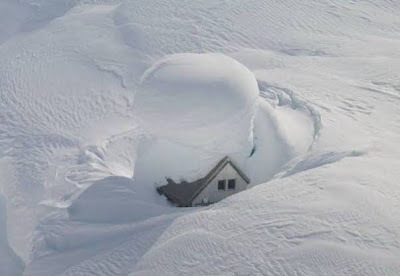 It's a wonder that homes could even handle quantities of snow on top of them like that. Amazing photos! Put me in my place, and I'm happy in it ! WOW! These pics are amazing. I have a photo from several years ago, of my friend standing in the snow. Next to her was the chimney on the roof top. The snow had fallen so deep that we could walk from roof top to roof top. This was in MI's UP. I don't think I have seen snows that deep in many years. 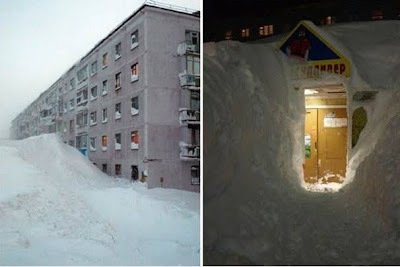 Looking at the snow tunnels in these pics, I am humbled. I will try not to complain about the snow plow guy who piles 8 inch mounds in my just plowed drive. There is a reason neither Napoleon nor Hitler was successful in their attempt to invade Russia. 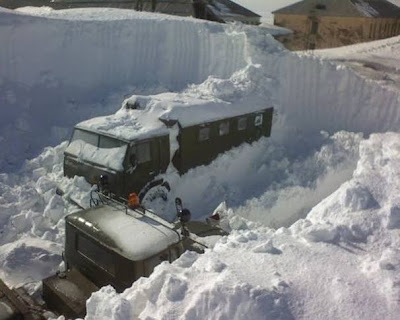 Nobody but the Russians can survive the Russian winters! They are tough people. Where in Russia are these pics from? That must have been some storm!